Having attained the level of disciple, the seeker knows the Truth of Certainty. When the Saints of God witness that the seeker has reached enlightenment by passing the ten steps to discipleship, they will dress him or her with six powers. These are not powers that come from an external source, but rather they are unveiled from within the heart of the disciple. When they are opened, he will find himself dressed with them. A light may be entirely concealed within a room that has no opening to the outside. However, if a door or window is opened, the light shines forth. If the room is filled with light, light will come out. If it is filled with smoke, smoke will come out. Imagine that a piece of burning coal is placed with a great quantity of incense inside a container. If the container is small and the heat very intense, the fragrance of perfume erupts like a volcano when the container is opened. When a volcano erupts, it explodes up in the air hundreds of feet, spreading lava and ash everywhere, taking everything with it. A similar reaction occurs in the heart of a disciple after he passes the ten levels.His heart is that small container with a fire burning inside. The perfumed lava is the love that rose in him from the Love of God, the Prophet and the Shaykh—the love that comes from annihilation in them. The intensity of the love in his heart and the immensity of the six powers in his heart explode into his surroundings, releasing that lava of love upon everything he touches. By permission of the Saints of God, and especially the shaykhs of the distinguished Naqshbandi Order, these powers appear and thus many miracles may be performed. However, the shaykhs do not approve of showing miracles. They do not like to show off. They conserve divine blessings in order to help others, either in an indirect way, or in the grave during the angelic questioning.At that point, when the angels ask such questions as “Who is your Lord?” and “Who is your prophet?” the disciple trembles with fear. Then the Naqshbandi Shaykh uses the Divine Power God has granted to him to loosen the student’s tongue, so that he can give the correct answer. That is when the student needs the Shaykh the most. He will also need the Shaykh to present him to the Prophet Muhammad as his follower, and to request the Prophet’s intercession for him. Only true saints have access to the Prophet Not everyone has access.Those who have access to the Prophet take their miracles to him, and so the disciples of the Naqshbandi shaykhs are prevented from outwardly displaying their power. Other orders are different; they have their own way. If these six powers of the heart are suppressed by the bad characteristics of the ego, they will never be released. The ego’s selfishness cannot accept anyone except itself, not even the shaykh. Saying, “I am your Lord, Most High”. The ego’s ultimate aim is to overthrow God’s dominion of the heart and for the ego to proclaim itself as lord. The ego wants to ride and control you, and it is able to suppress these powers in your heart. You cannot release them until you pass the ten steps of the disciple. Then it is as if you have been granted the highest level of clearance, for each of the ten steps is like a new level of security clearance.For certain government services, you require security clearance. For example, while most people who work in the Department of Labor do not need such clearance because their regular duties are not sensitive in nature, many of those in the Department of Defense do. Without such clearance, you may only access unclassified areas. High-level government jobs require high levels of clearance. Applicants must be examined carefully before receiving this high-level clearance. Their family history and criminal records are examined, along with anything else that might make the candidate a risk. This information affects the level of clearance they are eligible to receive. Depending on the level of clearance, this research might go back as far as the age of five years.The same is true in spirituality. When the disciple has achieved these ten levels, he is cleared to access classified materials. At that time, the disciple can access the six powers of the heart, powers that are found in the heart of every human being, without discrimination. Until you access them, these six powers are pressurized by the ego. The tyranny of the self is able to oppress you. All of this power that God put in your heart becomes suppressed in a small and narrow place, due to the very high pressure of selfishness and satanic influence. The pressurized place that holds these powers is a black clot in the heart. Every newborn child has these six powers, because every child is born innocent. The light of innocence is lost throughout life. God does not take it away; it is suppressed and pushed down into the heart as the child grows progressively farther away from his divine reality. A child may be raised by his parents in a situation contrary to his inherent innocence (fitrah). How severe the suppression of this light becomes depends on how the child is raised and how much the child is spoiled. As the child grows into adulthood, he or she may suddenly realize the importance of balancing the inner and outer dimension of his life, in order to release the spiritual power buried within them.Maintaining balance becomes an integral part of the seeker’s discipline. It is very important to have the inward and the outward in harmony. A person’s outer behavior must match their inner reality, or else the six powers cannot be opened. In that case, they will continue to struggle.When someone tries to disguise the disparity between their inner and outer realities, they make their outward demeanor appear noble to others. That person may claim to have permission to represent a saint and give guidance, or they may claim to have had a dream and received permission from the Prophet to guide people. Others may say, “I don’t need a dream. I received permission by direct telepathy from the Prophet to give guidance to people.” These are people whose pride and arrogance forces them to pretend they are leaders. Everyone has a different ego problem, but these are examples of polishing one’s outside while the inside remains bad. Such a person is a hypocrite and a liar. He is like someone whose inner core is iron, completely dark and cold, but who coats it with silver. That person has a heart that is silver-plated. If you knew that, you would never buy what he is selling. You would discard it because you would then know that you had been cheated. Others look and buy it because they are fooled and think that what is only silver-plated is really silver.How many Shaykhs do we have like that around the world today, pretending to be something they are not? They are going to be questioned by God about how they cheated and deceived people. That is why a shaykh must be very careful to always say, “I am nothing.” If you do not know about something, admit that you do not know.There was once was a son of a great shaykh who, when his father died, began to also don the garb of a shaykh so that everyone would come to him for advice. He never admitted, “I am not a scholar.” When people would come to him with a problem, he would nod his head as if contemplating the answer and say, “hmmm.” The student would wait and then ask, “What is the answer, O shaykh?” He usually responded, “There are two opinions on that.” Everyone was impressed by this answer and would never bother to find out what those two opinions were. They would hear this and go. However, one of the clever ones knew that the man was a charlatan. He asked the man a question in front of others, to which he gave his usual response, saying again, “There are two opinions.” This time, however, the answer exposed him, for the question that had been put to him was, “Is there any doubt in God’s existence?” This is an example of the state of scholars today. Do not fall into that trap of lying, or being a hypocrite. Do not be silver-plated, or you will be lost. Do not give lectures on the love of the Prophet or on remembrance of the Divine when, in reality, you know nothing about these things. So many are like this; do not be fooled.While the silver-plated person has an inner identity that is ugly, but maintains a nice exterior, there also people who do everything they can to clean their inner-selves, but who fail to improve their external appearance. Such a person may say, “I know that my appearance is ugly, but what can I do? At least my inner character is good. I do not lie. I might make mistakes, but I am careful not to do anything wrong.” This person has an interior that is silver, and an exterior that is iron. He is iron-plated. He is humble, and he does not cheat. He says, “I belong with the shoes that are left at the door. I know nothing.”However, the best people are those who have polished their interior and their exterior completely. Such a person is one of the Righteous ones (siddiq). That person is not even like silver, but is like gold—inwardly and outwardly unchanging. That is the perfect one. That is what you achieve when you move through these ten steps of discipleship, clearing one level and then another, and manage to make your inner and outer realities equal. At that time, the volcano of the heart erupts to release the six powers, and the fragrance of them comes out.As soon as you smell this fragrance, you begin to see what people cannot see and hear what people cannot hear. By smelling the fragrance of a flower, the bee can travel very great distances to reach what it needs and return. What makes the bee unique is that it receives inspiration, unlike any other creature. When the fragrance of the six powers opens, all kinds of inspiration will come to you and these powers will dress your external reality. The six powers in the heart of the disciple must be decoded by passing the ten levels. A message must be decoded before its information can be read. In spirituality, there are many encoded messages, because we are always confusing messages through our bad actions. To reach the reality of these messages requires decoding. These messages are within the heart, but we have to be able to unlock them.Once a student came to Sayyidina [Tayfur] Bayazid ق and said, “O my shaykh. I was following you all my life. I was learning from you all my life. I never missed an association (suhbat). I never missed a session for remembrance (dhikr). I never missed a prayer. I served you with sincerity and piety, but I am not able to understand these six realities that you are speaking about. I am not seeing them and I am not feeling them.”Sayyidina Bayazid ق said, “O my son, if you worship 300 years—let alone fifty years—you will never reach these realities, as long as you are carrying your ego with you.”The disciple asked, “O my shaykh, is there a cure for that ego to be let go?”The Shaykh said, “Of course, if you are willing to follow that cure.”He said, “Please, tell me quickly in order that I will be able to cure myself.”Sayyidina Bayazid al-Bistami ق looked at him, and said, “O my son, in order to get rid of this sickness—and there is no one without it—you have to hang a bag around your neck and fill it with walnuts. Go to where everyone knows you, downtown where the scholars congregate. Go with these walnuts and say, ‘O children of the community, I love you so much. Come. To anyone who slaps my face, I will give one walnut. Anyone who slaps me twice will get two walnuts.’”This was to humiliate him, to bring his ego down. That disciple was a great scholar, and he was acting according to what he knew. But there are two different types of knowledge: the knowledge of paper and the knowledge of taste. They are very different from each other, the difference between reading about something and really tasting it. Someone who studies medicine must have an internship in order to understand what he has learned from books.The disciple looked at his shaykh, not believing what he was hearing. He said to his shaykh, “Subhanallah! Glory be to God! Can you say something like this to someone like me?” By this statement, he meant, “I am a great scholar; everyone knows me.” The shaykh said, “Stop! You are committing idolatry (shirk) by praising God in reference to yourself.” For the scholar it was as if the thought of humiliating himself was such an amazement beyond the imagination- comparable to God’s wondrous power and creation.How far we are from the Truth! How far we are from knowing ourselves! The Prophet said:Whoever knows himself, knows his Lord. Make an account of yourself and see if you have this sickness or not. How much ego everyone is carrying! No one can accept anything from anyone else. The ego is difficult, giving itself excuses.Once there was a student of Sayyidina Jamaluddin al-Ghumuqi al-Husayni ق named Orkallisa Muhammad who spent all his life trying to please his shaykh and be a good follower. He learned how to behave with the shaykh from the preceding story of Sayyidina Bayazid al-Bistami ق and his disciple.One night, after making dhikr and praying the night prayer, everyone left and the mosque was closed. But Orkallisa Muhammad had hidden himself inside, behind a pillar. He was speaking to himself, like someone who speaks to his reflection in a mirror. In this dialogue, it was as if the body had one voice and the spirit another.He said, “O Orkallisa Muhammad, you were never able to do anything. You always fail at what you touch. You failed and failed, until finally the shaykh pitied you and gave you money to buy a flock of sheep. You bought so many sheep and raised them until the sacred months arrived, but with every holiday in those months you sacrificed them in the Way of God until none were left. Your shaykh gave you money for the sheep in order for you to earn an income to help the community, but you went and slaughtered them all, and so you failed. Whatever the shaykh gives you to do, you fail.”He was learning. He knew his self—the self that will destroy human beings. Never trust yourself and let it ride on you; you must ride on your self. He continued, “O Orkallisa Muhammad, I make an oath that you are the worst of human beings, the lowest that anyone can imagine.” To show the sincerity of his oath, he added, “If I am not saying this with full conviction that I am the worst human being, then my beloved wife is divorced from me.”With that oath, he was experiencing the reality of humility. He was genuinely accepting that he was the worst of human beings. At that moment, he heard his shaykh laughing, and he looked up and saw him. He said, “O my shaykh, you are here? ”Sayyidina Jamaluddin ق replied, “I was here from the beginning, O my son. Now I can open for you the six powers that are in your heart.”Today, you have the Palm Pilot, and with its stylus you are able to bring up the information it holds. Such a stylus is not the same instrument that Sayyidina Jamaluddin al-Ghumuqi al-Husayni ق was using, but technology imitates the abilities of spiritual teachers. By moving the Finger of Witnessing in front of the heart of the disciple, the shaykh opened the six realities for him. He was uploading, bringing that information up into the awareness of the disciple. As that information was being decoded, the disciple was ascending and descending in the mosque. He was so very light, for heavenly powers were raising him.The disciple said, “Is this part of the spiritual path?”The shaykh replied, “Yes it is, but this does not come to someone until he humbles himself. If he keeps thinking that he is something, then he will never reach the reality that he is asking to learn.”The taste of this world is going to vanish. When someone is in the grave, after some time the body decomposes. Thus, the taste of this world is also not going to stay forever. Those who try to taste from this world are moved by its difficulties and its temporary pleasures. In reality, it is only a rotting corpse that every dog is trying to take a bite from. This is our situation. Everyone now is fighting for this world.The saints of God are fighting to reach the next world. In this world, they want the satisfaction of God. Others want the pleasure of the afterlife but they want to get it in this world. Instead of preparing for the next world, they are running after this world and finding its difficulties. When we run after the next world, these six powers will open in our hearts. However, as long as we run after this world, those realities remain rooted in the heart and never open, since they have not been decoded. “Yet when the Servant of God stands forth to invoke Him, they just make round him a dense crowd.”The Reality of Attraction is like a magnet, and the magnet’s power depends upon how much gold has been achieved in your heart, how much fragrance was contained in your heart and how much of it you are able to release. Some disciples can carry more and some carry less, but all will be given that power. Sayyidina Muhammad al-Busiri ق said that either you are taking from the waters of the Prophet with your palm or with a pitcher. This power of attraction is not really how many people are attracted to you, but how much you are attracted to the Prophet , and if you are taking handfuls of knowledge or pitchers of knowledge from him as a true gnostic. As your attraction to that knowledge increases, so do your efforts to bring it from the Prophet’s heart to yours. This knowledge never ends; as saints are taking from the ocean of the Prophet the Prophet is taking from the Divine name the Knower (al-Alim).And above every knower is a higher knower. Before the opening of this power, why should people be attracted to you? Should they be attracted because you are this or you are that, holding a position in this world? The attraction of such people is not the Reality of Attraction; it is an imitation of the real power that God gives to his servants for their followers. The attraction given to worldly figures is like a plastic fruit, with no taste. What you see may be attractive, but it is tasteless.The attraction of the saints of God is for the Prophet , who dresses them with a beautiful fragrance. Because you partake of that fragrance, the eyes of the Prophet will be on you. The mosque should be a place for the best ornaments, and one of the most important ornaments that you use when you go to the mosque is perfume.The Prophet said:Lovely to me are three things from your world: women, beautiful fragrance, and the refreshment of my eyes in prayer.Through the Prophet’s love for them, God has honored women. They are the ones undergoing so much difficulty in this life, and they are the first to enter paradise in the afterlife by the intercession of the Prophet This is not the place to go deeply into interpretation, because the sayings of the Prophet can carry millions of meanings, just as in the Holy Qur’an, each verse can carry billions of meanings. Understanding depends upon how much you are inheriting from the knowledge of the Prophet.“Prayer” is not from this world; it is from the Next World. But the Prophet included it in this world to show that it is a means for his Community to be in a better position on Judgment Day. What do “women” symbolize, if not beauty? When the Prophet includes women, he is describing the Manifestation of beauty (Tajalli al-jamal). God dressed the Prophet with the Reality of beauty (Haqiqatu ’l-jamal), the appearance of His Attributes.The Prophet said:God is beautiful and He loves beauty.When the Prophet says, “I love women,” it means that he loves beauty. That is why saints often pray, “O God, allow us to marry the women of Paradise.” They are asking to be dressed by God’s Beauty, to which the beauty of the inhabitants of Paradise cannot compare. The Prophet went to the mosque dressed by His Beautiful Attributes, with beautiful characteristics.Beautiful fragrance is from a heavenly source, and the highest fragrance is in the heart. The perfume that is pressurized in the heart is beautiful, and it is that fragrance that the Prophet was dressed with when he went to the mosque to pray.When the Station of Attraction is opened, this beauty will begin to appear on you; the fragrance blowing from the heart like a volcano will ornament you, and then you will attract the sight of the Prophet. We say, “Give us a glance from your vision, (O Messenger of God).” A glance from him turns the sinner into one who repents, and raises you higher and higher. The Prophet can do this because he was given Intercession. If he sees goodness, he praises God, and if he sees otherwise, he asks forgiveness.When you bring a magnet to a nail, the nail is attracted. You are a nail, nothing more than that. There are silver-plated nails today, like plastic professors and lecturers, and there are those neither silver-plated nor gold-plated, but pure gold; all are nails. When you pass the ten levels, you become a magnet, like the nail that has been rubbed by a magnet becomes a magnet. Prophet Muhammad said:When a group of people sit in a gathering to remember God, then His mercy covers them.Who is His Mercy, mentioned in this Prophetic Tradition? God called Sayyidina Muhammad the Forgiving, Merciful one, Ra’ufun, Raheem.He gave him the power to look at people, and that is why saints stand up when Sayyidina Muhammad is mentioned in a gathering. While some people say not to stand up, in reality we are obliged to stand up at every moment, as we would in the presence of his Noble Tomb. His description of mercy as covering people means not only that it surrounds and encompasses, but also that it rubs. When people are remembering God, angels are rubbing people and dressing them from their angelic attire, like a magnet rubbing a nail. Then, because of your fragrance and beauty, the Prophet will look at you, and he will dress you with mercy. When he dresses you, you become someone who attracts others. You become a focal point to whom all are drawn, like a spotlight or searchlight, you become a beacon so that people can see. You become like a beacon that guides vessels in the ocean and in the air, a light in dark nights. 1. Respect for elders (al-hurmat li ’l-akabir). Here “elders” means the Saints of God, those granted to be sages. You have to respect them. The literal meaning of “elders” is also present. 2. Mercy for the younger (ar-rahmat li ’l-asaghir). You have to have mercy for those who are beginners, and who are lovers. Do not have the look of superiority. Remember when Bayazid al-Bistami ق tested his disciples, and they all ran away, except for one. When Bayazid ق approached him, he said, “O my shaykh, I have prepared water for you.” Sayyidina Bayazid ق said, “Where are your fellow disciples?” He said, “O my shaykh, I was busy for you; I did not notice.” Do not belittle those who have love, or look at them with disgust, but respect them. The Reality of Focusing is the secret of these verses:From whence so ever Thou startest forth, turn Thy face in the direction of the sacred Mosque; that is indeed the truth from the Lord. And God is not unmindful of what ye do.Wherever you are, you must direct your face towards the Kahba; but this can be understood together with the verse:To God belong the East and the West: Whithersoever ye turn, there is the presence of God. For God is all-Pervading, all-Knowing.So the Kabah is where you direct your face, and where God is present. It is the most sacred mosque, where sins are prohibited. The secret of directing your face (sirr at-tawajjuh) is in focusing on that place where no sin is going to be committed. The Reality of Focusing means that you only direct your face where no one can commit sins. It is forbidden to direct your face anywhere else.You must be on a sacred journey at all times, as if you are facing the Kabah, as if you are facing God. Your journey cannot be on the television; it cannot be in movie theatres; it cannot be accomplished by wasting time. If you desire to reach that reality, if you want to say, “I am a disciple,” then you must follow the way of the disciple. You cannot say, “I am a student,” and then do whatever you like to do. Then you are a student who is ignorant (jahl), and knowledge (ilm) is the opposite of ignorance.In this world you are faced with choosing simple interest or compound interest. Loan sharks, all are cheating you. You are buying houses with compound interest, and so you may pay interest only for many years. There is also simple ignorance and compound ignorance. Simple ignorance is when you have ignorance of things, when you are ignorant in the affairs of life. If you are judged to be ignorant in business, in science, or in planting fields, does it really matter? Compound ignorance is when you are ignorant in the way of God, and that is dangerous. Compound ignorance accumulates, when sins upon sins are written for you. When you have compound ignorance, you know that you are doing something wrong, but still you insist on doing it. Simple ignorance relates only to this world. Your ignorance of how to make a chair does not count against you, but it is dangerous to not know how to pray.When you have achieved the ten levels of disciple, and the Realities of Attraction and of Downpouring are bestowed upon you, you are dressed with heavenly decorations like a rainbow of beautiful colors. Then God directs you to His Face. From any place, the Saints of God are seeing the divine presence, unlike common people.With the Reality of Focusing, a person becomes a sign from among the Signs of God, a Sign of God moving upon the earth. When you move with that power, by directing yourself to God’s Face, by His permission and power and by the Prophet’s power and permission, you can reach anyone by telepathy, from heart to heart. Now dressed by God with that power, you may look after your followers, and guide them through their lives. Saints are ordered by a heavenly order coming from the Prophet to look at their disciples at least three times a day, and when they look at you they have to navigate. Today you navigate the Internet. There are also saints navigating a heavenly Internet, directing their disciples wherever they want.There are higher and higher examples of this power. When we were young, my brother and I had traveled from Beirut to Damascus to visit Grandshaykh AbdAllah al-Fa’iz Daghestani ق without our mother’s permission, and the shaykh stopped us at the door and turned us away. We ran from his majesty. We returned the next day with permission, and Grandshaykh sent his servant to open the door for us. The previous day he showed us that he knew we were coming. When we went in, he explained that when saints look at their disciples, they do not give them sweets to make them feel happy. To make someone happy is easy. They look at them to create difficulties for them. When disciples carry difficulties, saints take from them their burdens and make them clean. If they don’t carry them, saints ask forgiveness on their behalf to make them clean.Every time you face a difficulty, it is like a puzzle. Be sure to say, “My shaykh is testing me now, my Prophet is testing me now, God is testing me now. Now that my shaykh is looking at me, how will I keep myself?” Do not move like a windmill, which turns when the wind comes. Be like a pine tree; winter and summer it is green.The ability to reach the first level of sainthood is given with the Reality of Focusing. the Truth of Secrets (Haqiqat al-asraar). When the fragrance comes with the Reality of Downpouring, you can direct that beautiful fragrance. The shaykh is able to communicate with his disciple. The disciple will begin to have a receiver, and he will pick up with it where the shaykh is directing him, and undertake his journey “to the presence of God” and “in the direction of the sacred Mosque.” When you reach the Reality of Focusing, you can communicate with anyone you want – without a cellular phone. Fifty years ago, before phones were so readily available, I witnessed the famous Shaykh Ahmad Haroun of Damascus display this power. He was sitting with his followers, and needed something from one of his disciples in Aleppo, hundreds of miles away. Shaykh Ahmad Haroun unfastened his belt and lifted it to his mouth, and said, “Hello, I want you here. Bring the book that I need.” Then he hung up his belt. Five hours later there was a knock. When the door was opened, that disciple was there. He said, “O my shaykh, you called me and I brought you the book.”How did Shaykh Ahmad Haroun do that? The disciple can hear the shaykh, and for Shaykhs this communication is simple, as for us normal people today communicating by cell phones is so ordinary. Technology of today is following the spiritual technology that has been present in all human beings but is manifested in those who are trained and given permission to use it. You may have a cell phone but you need the cellular provider to give you access to the network, otherwise your phone is a useless piece of plastic. Once you have an agreement with one of these huge cellular companies you may begin to use their service. Similarly when the student is given initiation by the shaykh his chip is now linked to the shaykh’s. When the shaykh activates the code more and more powers of the heart may be opened. Such wondrous powers may be seen throughout the centuries even dating back to the Companions of the Prophet . (as illustrated in the incident of Umar ibn al-Khattab ¦ seeing and speaking all the way from Madina to Damascus in the chapter on the Reality of Scrolling described on page 227 ). However, saints do not value such things more than knowledge. Knowledge is more important. Who is there can intercede in His presence except as He permitted?None shall have the power of intercession, but such a one as has received permission (or promise) from (God) Most Gracious.When you are established in the power of focusing, the Saints of God dress you with a higher power, the Reality of Intercession. [ Permission for Healing ]With this reality you can intercede for people, inheriting as much of this secret as you can from the Prophet Your inheritance depends upon your container. You may take as much as your heart can carry, but all saints may take from a single drop. The Prophet’s intercession is so vast that one drop is like an ocean. It is enough to drown the whole world. All saints are swimming in a single drop of intercession. Think about how much power God gave to the Prophet for interceding on Judgment Day. We are like babies in diapers.You cannot understand the knowledge of the Saints of God, how they are swimming in that drop. How are you going to understand the reality of Prophet Muhammad ? Today, books are written about the Prophet , but they contain only the “knowledge of papers” (ilm al-awraq).It is God’s overwhelming Mercy that will suffice for humankind’s salvation on the most dreaded day. And the embodiment of God’s Mercy is the God Messenger Muhammad r, whom He described in the Holy Qur’an as:a Mercy for all creatures.It is therefore our hope in the Prophet’s r intercession that is our firmest foothold in the Hereafter, not dependence on deeds, whose sincerity and perfection are undoubtedly lacking. It is only through the Mercy of God, as perfectly embodied in the person of His Beloved Prophet r that we can rest assured of safety and deliverance:on the Day in which hearts and eyes will be overturnedThe Prophet said:I myself am the Beloved of God (Habibullah) and I say this without pride, and I carry the flag of glory on the Day of Judgment and am the first intercessor and the first whose intercession is acceptedAnd God’s Messenger r said:My intercession is for the grave sinners of my community.That power granted to the Prophet r is inherited by his spiritual successors, the saints (Awliya’ullah). The Reality of Intercession means that, in making prostration, the saint will not raise his head until his follower gains “clearance.” A person working in government cannot see classified material without clearance. In spirituality, you need “clearance” to reach “classified” material. That “clearance” comes from being clean, and the shaykh cleans you in that prostration. In that prostration, they bring all their followers and present them clean to the Prophet . For the saints of God, this is the reality of interceding for their followers.God’s Messenger r said:None amongst you can get into Paradise by virtue of his deeds alone.Even the good deeds of the seekers on the Way require intercession, for due to our ignorance, whatever we perform of good actions is marred by many forms of wrongdoing, secreted within them. That is why intercession is also needed by the follower of a saint for every deed he or she performs. Thus in their nightly prostration, with the Power of the Reality of Intercession, saints intercede for their followers seeking not only forgiveness for their misdeeds, but also interceding in order that their good deeds and worship will be purified, “perfumed” and presented to the spiritual presence of the Prophet . At that time—having been adorned by the spiritual power of the shaykh—the follower’s deeds and worship become acceptable in the Divine Presence. One of the great saints, Khwajah Ubaidullah al-Ahrar ق, had a follower who reached such a level. He passed the ten steps and so had become more than a lover (muhib), more than a beginner on the Path (mubtadi) and more than one of the prepared ones (musta¿id). The first three powers had already been opened to him. He was experiencing the Reality of Intercession, and in that reality he saw that his shaykh was written among the people of Hellfire. He was amazed. He thought, “It might be that he is doing something wrong that I do not know.”How could Hellfire be written for your Shaykh? At the first opportunity, Satan comes to the mind. Because of this, the disciple may see something done by the shaykh and think that it is a blameworthy innovation. If you do not understand something the shaykh does, admit to yourself that you are not yet in a position to understand, for Satan is always digging in our minds to bring out a bad smell.That disciple saw on the Preserved Tablet (Lawh al-Mahfoudh) that his beloved shaykh was destined for Hellfire. So the disciple went into prostration every night and every day, praying, “O my Lord, take him from Hellfire and take him to Paradise.” After one year, he raised his head one day and saw that his shaykh’s name was taken from Hellfire to Paradise. He was very happy to have achieved his goal, and went to his shaykh to tell him the good news. Look at his arrogance! He went to the door of the shaykh, and all the disciples were there, sitting with discipline, majestic. Today we do not, since we are pampered babies. As soon as he entered, the shaykh—sitting with majesty—looked at him and said, “If you do not go back and return my name to where it was before, I will break you in half and you will not be my follower. Do not return until you change it back.” He saw his sickness. The disciple, when given a little miraculous power, imagined himself to be higher than the shaykh.For one year he made prostration in the morning and in the evening. It took him one year to bring his shaykh’s name back to Hellfire, and he was so happy to see it there. He went back to the shaykh who was sitting with his disciples, and they were all in perfect discipline, unlike today. The shaykh told him, “Twenty-five years ago I reached the level you reached today, and I saw my name in Hellfire. I saw my name there, but I keep worshiping. Hell is Paradise for me if He wants to put me there. Every movement is by His Will. Training disciples for twenty-five years, I have seen it there and I never asked for it to be changed, although I am able to do so. ”Bayazid al-Bistami ق asked God to put him in Hell with a body large enough to fill it all, and his request was accepted. He wanted to sacrifice himself for the good of all humanity occupying all of Hell and blocking anyone else from entering. With their love for all creation, God’s saints may use the Reality of Intercession to save people from difficulties and punishment. Scrolling the Dimensions of Space. The Day that We roll up the heavens like a scroll rolled up for books (completed),- even as We produced the first creation, so shall We produce a new one: a promise We have undertaken: truly shall We fulfill it. Use of thought (tafkeer, muraqabah) is purified, with nothing to disrupt it, it moves at greater speed. The mind can reach the sun in one second. 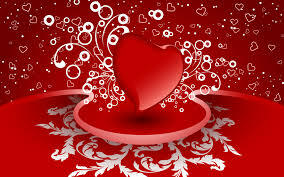 The speed of the heart is faster still; the way to move through the heart is far stronger. Energy can move anything. A small engine can lift the heaviest loads. Now vehicles use fuels relating to the earth that are transformed by their seclusion deep underground. The spirit is related to heavens. God knows what that energy is. Why do we look at the power of the spirit as non-functional? You can make use of it, by using the power developed by saints. When they travel, the spirit contains the body until they arrive, and the body emerges. We can accept this process with an airplane, even though centuries ago it would not have seemed possible. To accept this spiritual process requires a foundation of belief in the Unseen.Using the energy of the spirit, a person may be at home and may move at the same time to Makkah. Witnesses may report their presence in Makkah, though they can respond, “No, I was here in the house.” Others may say, “You were in India.” High-level saints are able to be in 12,000 places at one time. Low-level saints can move and appear in two or three places at the same time.When saints move through Oceans of knowledge, they also move their followers. Wild geese migrate in flocks, and they move for months, from one continent to another. So the shaykh will move, moving his disciples with him in flocks. He cannot leave his disciples behind when he approaches the presence of the Prophet. If he did, the Prophet would say, “Where are your disciples? I gave to you for the sake of those following you.” The saint without his people is not a saint. Who is the Prophet without his Community? A person must bring his flock with him, for the Prophet said:Each of you is a shepherd, and each one is responsible for his flock: The leader is shepherd of his nation and accountable for them; the man is shepherd of the family of his house and accountable for them; the servant is responsible for the wealth of his master and accountable for it; and the woman is shepherd for the home of her husband and accountable for it.For the Prophet , not only is his Community coming for Intercession, but all prophets from Adam ¡ go to him also. Every human being belongs to his Community. The Reality of Scrolling moves mountains in space. Do not doubt it. With the space shuttle, some 2,500 tons of metal are going up and moving in space. If this is by the power of ordinary people, what about the power of the Friends of God? To them belongs the reality of scrolling universes, universes of knowledge.God’s first order to Prophet Muhammad was “Read!” The Prophet asked, “What am I going to read?” Iqra, “read,” can here be understood as “read these vibrations.” “Read in the name of your Lord who created,” means, “I created that from the Ocean of Power, Bahr al-Qudrah. Read that, O Muhammad. I am giving you the secret way to read creation. Read it and learn it. I am giving you that permission. I am giving you a language that encompasses all languages.” That is why the Prophet could hear the angel Gabriel when he revealed the Qur’an to him. What Gabriel gave to the Prophet , no one knows. What God gave to Gabriel, no one knows. This earth is a small planet in this universe, yet it is emitting frequencies. Similarly, the sun is emitting frequencies. Scientists say that there are 80 billion stars in our galaxy alone, and that there are six billion galaxies in this universe. All of them are emitting different frequencies and vibrations. However, as God said in the Holy Qur’an, “you cannot understand their praising.”As an example, suppose I tap on a microphone. That tapping creates a sound that has a wavelength and the wavelength moves throughout space, throughout the universe, and never dies. Physicists and engineers know this fact. If you have a receiver, you can pick up that wave. If you do not have one, you do not hear it.We are hearing from billions of years, voices coming from the universe, because we have big receivers. We are hearing some things yet we are not able to hear others. If you have the right equipment, every voice could be heard because waves move around the entire universe.When the Prophet Muhammad recited from the Holy Quran, that recitation became a wave that is ever-living and does not end. This is true, even from the point-of-view of physics. That miracle (karama) was a sign that Sayyidina Umar ¦ had two characteristics from true faith: The Reality of Hearing, Ilmal-Yaqeen and the Reality of Seeing, Ayn al-Yaqeen. The first characteristic is like one who has an audio tape. But when you have a video that is stronger—that brings you to the Reality of Certainty, Haqq al-Yaqeen. Sariyya ¦ and his troops were only able to hear from afar. They could not see Sayyidina Umar ¦, whereas Sayyidina Umar ¦ was seeing, hearing and speaking across the vast distance from Madina to Sham.These people obeyed God and obeyed the Prophet. They truly followed the Sunnah. That “technology” is from 1,400 years ago, the time of the Prophet . This power is based on the Prophetic Tradition in which God says, “I will be the vision with which he sees.” If you are granted this power, you can see the Prophet. You can see how he is moving, how he is speaking, how he is acting and then you can follow his example.If you cannot do that, then follow those who can. Not everyone can do that, only a few Saints of God can do that, like Sayyidina Abd al-Qadir Jilani ق.Mawlana Shaykh Nazim ق says that whoever keeps to true spiritual exercises, if he can complete them, there may appear from himself many forms like himself. First, there may be three, then seven, each having the same shape and bodily powers, but each one able to be in a different place. Each one is independent, looking, acting and knowing. This power comes from completing the aforementioned spiritual exercises under the supervision of a Perfect Master (Murshidun Kamil). Mawlana Shaykh Nazim ق relates:Bayazid ق once prayed one Friday congregational prayer in 24,000 different places. He told the religious authorities in one place: “I was praying in 12,000 different houses of worship today.”They asked, “How?”He said, “By the power of the Lord Almighty. If you do not believe me, send people around to ask.”They sat and waited until messengers returned, saying that he was seen in so many places. Bayazid ق later said, “I was afraid to say 24,000, so I only said 12,000.”God says that, when one plants a single grain of wheat, it disappears into the earth and becomes seven ears, each ear with a hundred grains, 700 grains coming from one. If a person gives his body up, accepting to be nothing, God will grant him a body from His Divine Presence. Do not be surprised about God’s actions; He is al-Qadir, The All-Powerful. But no one agrees to be nothing. Everyone is asking to be something, to be, to be, to be, even in religion.In the Sufi way, too, people desire miracles and heavenly visions. No one likes to be nothing. When agreeing to be nothing, you will be all things. The Palace of Unity is not open to those saying, “We are something.”You must enter into khalwah, seclusion, not thinking to come out finished, addressing to your ego and saying, “Don’t think that you are coming out able to do miracles. I am going to bury you. My shaykh will send the Angel of Death to take your soul.” Then it will be real seclusion.Otherwise, it is only training. 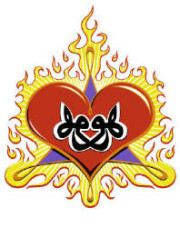 For the first condition, the shaykh looks to the disciple to see if desires of the ego are still running in his heart. Ego must be finished there. Then such a person ready for death and all keys to treasures can be entrusted to him. The prophets have inheritors in every era who are living shaykhs. They can say to a mountain, “Move!” and it will move. They may appear as an attraction, like a spotlight in a stadium, a beacon or a rainbow. When people see them, they fall into states of ecstasy.When the Saints of God say, “We are seeing this,” you cannot say, “No.” They are seeing frequencies that your eye cannot.After Prophet Muhammad went on the Night Journey and Ascension, he returned and saw everything that had passed took place in the blink of an eye. He went with body and soul, yet when he came back, his bed was still warm.Imam Shahrawi related that Imam Nawawi said, “The Prophet saw his Lord with the eyes of his head.” God raised him up with a body that could discern the frequencies that fill this universe. These vibrations or signs can be known, but you need to have the software. If you can establish that software in your heart then you can see what others cannot see.Consider what God says about the Prophet Solomon ¡:He said (to his own men): “Ye chiefs! which of you can bring me her throne before they come to me in submission?” Said an ¿Ifrit, of the Jinns: “I will bring it to thee before thou rise from thy council: indeed I have full strength for the purpose, and may be trusted.”The Jinn said, “I can bring the Throne of Sheba, but not immediately. I need time, and by then your meeting will be ending.”Said one who had knowledge of the Book: “I will bring it to thee within the twinkling of an eye!” Then when (Solomon) saw it placed firmly before him, he said: “This is by the Grace of my Lord!”The one “who had knowledge of the book” said, “I will bring it to you in the blink of an eye.” He brought it there using his knowledge of these frequencies. The Throne of Sheba appeared in front of their eyes. He used a power similar to that of satellite television today. Today many people speak of the need for a path to transformation. The saints of God are themselves a path to transformation. They are those who dedicated their lives to love of God, love of Prophet , love of faith. They know the path to transformation. If one is in the East, they can bring him to the West, and if one is in the East they can bring him to the West in order to be seen.Our master Shaykh Nazim ق says:To fly through this space is so easy; with the blink of an eye a person can reach Heavens which physically would take billions of years. Our light is not like the one coming from the sun; our light belongs to the Oceans of Divine Lights, that is why the speed of our soul is so fast. It is like comparing a person riding on a donkey to someone sitting in a rocket. That is an analogy to the difference between the speed of light and the speed of our Divine Lights.If you want a proof then go out and look, how long does it take you to see the furthest galaxy? The moment you look, your eyes are there! The galaxy of Andromeda is millions of light years away but with the naked eye it is a small spot which you can see. They say there are 300 millions of stars but for us it looks like a tiny spot within the greatness of space. That is part of your soul power, just a small part of it. If the whole power of your soul was on, you could see the whole universe in its real existence! You wouldn’t just see Andromeda like a spot, you would see the huge galaxy in its greatness. It means you will see every one of the 300 millions of stars in it. Today, even with the Hubble telescope, one can see the stars of Andromeda—what then is the power of the soul? Divine Lights are Lights from God. But it is closed off now because our physical desires prevent it. We are only interested in what we are eating, drinking, or enjoyment, nothing else. We are just wasting our huge powers.Now most people are nearly under the command of their ego; therefore the entire world is out of control. On the other hand, if people control their ego with their will power then they will be free from the gravity of their self. At that time they can travel all around the universe and even beyond!We, mankind, have souls and soul desires to be in Heaven; it is not interested in eating, drinking, or physical enjoyment. Such desires belong to our physical being, and they are endless. That is why we get hungry and thirsty physically. If we do not control these desires, they will be the biggest problem. Try to control them. We cannot live without them, but if we do not control them, they will be the greatest destruction. Prophet Muhammad said:Whoever guarantees for me what is between his jaws and what is between his legs, I will guarantee him Paradise.Mankind needs a balance for its desires, to learn how to control them. For example if you give me a car I would not know how to control it, because I have never been trained to. It is not easy, but you can learn, and then it is simple. The ego is the strongest force in existence and it needs to be controlled. A car or an airplane which is out of control, it cannot be saved by anything! Our ego is much more complicated and powerful than an aircraft.If anyone wants to learn to drive a vehicle there are lots of schools for doing so. But what about the ego? You think you can do that yourself? No! If it had been the case it would not have been necessary to have sent all those prophets, and after them saints. Holy people are able to control themselves; they teach people how to do that, how to keep their physical desires in limits. If you can control that huge power you may fly, and rise to Heavens without wings, just with your will power, you can go anywhere, even beyond this universe. Heaven doesn’t belong to this world; the souls of human beings were made from Divine Lights.In late 1980s, the prime minister and the mayor of Beirut invited Mawlana Shaykh Nazim ق to go with them on Pilgrimage to Makkah, Hajj. He did not say yes or no, but said, “I will see.”The prime minister insisted. Again, Mawlana did not say, “No,” nor did he say, “Yes.” He kept his answer vague. We spent the rest of the month with Mawlana, in Tripoli, and the celebration of the Eid of the Sacrifice came and went. Then the pilgrims began to return from Hajj. The next day, we went to see the mayor and the prime minister to congratulate them on completing the Pilgrimage. Disgruntled, they looked at Mawlana Shaykh Nazim ق. They said, “Mawlana Shaykh Nazim, we invited you to come with us, but you did not come with us and instead went with someone else.”We were young, so we were troublemakers. We asked them, “Why are you saying this?” They said, “We met Mawlana Shaykh Nazim at the Kaaba, during the circumambulation, tawaf. He did the circumambulation with us there, and when he finished the circling, he left and we left.”Mawlana Shaykh Nazim ق never left Lebanon. He was in our home for the entire time of the Pilgrimage. That is how the Saints of God move in space. They transform their frequencies and appear at another place. The shaykh holds the power to give his followers true dreams. Many people come to me and say, “I saw a shaykh in my dream. He looked like this and gave me this to recite.” Later, they encounter the shaykh physically and realize that he was the one they met in the dream. A guide can reach anyone in the world through dreams and visions. People can become devoted followers and even take orders from the shaykh through dreams and visions. He has that power.The guide gives his follower awareness (yaqaza), so that they will not be heedless. Then he breathes with the awareness that, at any moment, God can stop him from inhaling or exhaling. This means that, in every moment, with the guide’s grace that he takes from the Prophet Muhammad , the follower will be remembering his Lord though his breath.For many of us, breathing is something the body does automatically. When you are talking, you might be unaware that you are breathing in and out, but dive into the sea and you will remember your breathing. A Purifying Shaykh (shaykh at-tazkiyya) makes you aware that, at every moment, you are submerged in an ocean, that the energy you take in or put out belongs to God’s Power.There is a dhikr for when you exhale and when you inhale, and Divine Names to recite depending upon the time and conditions of the day. Each inhalation and each exhalation belongs to a Name of God. There are ten angels accompanying each inhalation, and ten angels accompanying each exhalation. Each angel is created from a different light belonging to God. Grandshaykh ‘AbdAllah ق said that nine parts of each light is from Sayyidina Muhammad and one is from the Ocean of Power. These lights are not the Light of God. We are servants to God and cannot share His Light. The Saints of God say that human beings take 24,000 breaths in 24 hours. Only a Purifying Shaykh can put on your tongue the remembrance of God with every breath. In reality, every breath is remembrance, but you are heedless of it. Once you reach the awareness of the 24,000 breaths, awareness is increased to the level of 700,000 per day. At this stage, time is extended in order to allow you to call upon your Lord 700,000 times. Time is unrolled without making it longer, just as God can make the entire world pass through the eye of a needle without making the world smaller or the needle larger. [iv] This is a power of the tongue (ta’i al-lisan), and it is from the Reality of Scrolling. It is the ability to recite more by using the energy of the spirit. How is this possible? God created a vein under the tongue that reaches directly to the heart. By following the guide, the disciple progresses and darkness is removed from the tongue and heart. At that time you become luminous (nurani), since you are no longer relying upon the body, or the tongue, but upon that heavenly light. Whatever is related to the Divine can do anything. The mind relates to the earth. When people become luminous, the following holy Prophetic Tradition applies to them, in which God says:Neither the heavens nor earth contain Me, but the heart of my believing servant contains Me.That heart can do miracles, reaching seven million repetitions in dhikr, even 70 million. So much is granted to any human being who follows the Saints of God. By His Grace God guided the believers to the Truth, concerning that wherein they differed. For God guided whom He will to a path that is straight. When you are dressed with all these realities, you aregiven the sixth power: the ability to guide people. Now you speak and it is your ego speaking. People come and sit and listen to lecturers, but only their egos are speaking. After you have been dressed with these realities, you can guide someone to his or her eternal life. Everyone has a different eternal life. Whatever God has planned for the individual, the shaykh will guide him by the hand, step by step, to move him forward. Someone in a maze who is unable to find the door out is lost. Guidance will take you left, right, right, left, then straight until you come out. Ten steps of the disciple.